Home » Take a meditationap. » Take a meditationap.Meditation should be enjoyable. We only consistently do things we actually like doing! 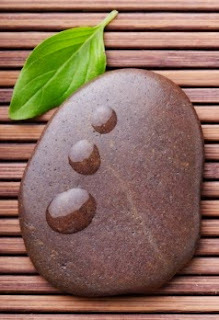 Take a meditationap.Meditation should be enjoyable. We only consistently do things we actually like doing! Title: Take a meditationap.Meditation should be enjoyable. We only consistently do things we actually like doing! Be careful. This one is complex. Oh yes—it’s the love child of a meditation and a nap. Lie down on a bed, couch, or sun lounge, or pile your (empty) bath with pillows and blankets. Close your eyes and do nothing. Maybe you’ll fall asleep. Maybe you’ll have Zen inspiration. Maybe you’ll just happily float along. Either way, it will be sublime. My favourite meditationap consists of a sun lounge, a blanket, an afternoon, and my ipod filled with lovely music. If 10-day Zen master meditation retreats consisted of this kind of meditating, I could totally do them! Think of meditation as a mental exercise. Why should meditation consist of doing nothing? We must always start meditation from where we are, not where we think we should be.